Approach | Williams Wealth Management Group Inc.
A complete picture of your financial life. For most, financial independence has less to do with a balance sheet, and more to do with a balanced life. That’s why Williams Wealth 360º is more than an investment manager or a financial plan. It is the collaboration of your team of professionals to help you meet your life’s goals. As your assets grow, life can become a little more complicated. Simplify and clarify your financial goals with our team of Certified Financial Planners™. Along the way we’ll monitor and track your progress while working with you to secure your financial future. 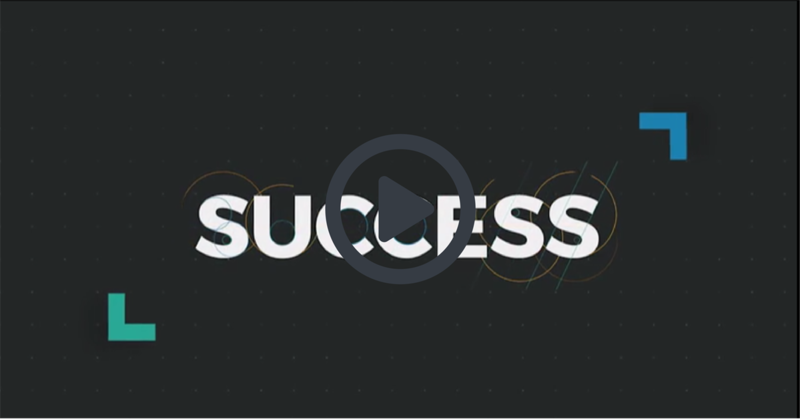 Take a moment to view the video at right to learn more about how we help you achieve success. Follow the steps below to begin creating your WealthPlan. Every client relationship begins with a conversation. Together we explore your goals, objectives, risk tolerance and core values in an effort to get to know you. Our experience and dedication to sound financial planning will enable us to make the most of our time together. Before the initial meeting, we will send you several questionnaires to complete that help you to prepare and enable us to make the most of our time together. During your initial meeting(s), we’ll get to know each other at a deeper level. By listening first, then reviewing your confidential client profile, our Certified Financial Planner Practitioners™ will be able to recommend what to improve, develop or change as it relates to your wealth. These long-term financial goals and objectives will be identified to set the foundation of your WealthPlan. Targeted risk is based on the principle of balance: the return you wish to gain, with the risk you're willing to take. Our cutting-edge techniques streamline the process of determining your “investment comfort zone,” then we build a portfolio designed to keep you and your assets within that target. Riskalyze helps us pinpoint your acceptable levels of risk and reward with unparalleled accuracy, ensuring that your portfolio aligns with YOUR investment goals and expectations. A risk score between 1 and 99 that pinpoints your exact comfort zone for downside risk and potential upside gain. Our team builds an investment portfolio in line with your Risk Number, charting a clearly-defined path to achieving your goals. Because real wealth is more than money, your unique aspirations and wishes are at the heart of your WealthPlan. What's your Risk Number? Use our FREE calculator. Your wealth advisor will conduct a portfolio stress test on your current investments and review your current statements. Our goal is to ensure your financial goals and objectives are in line with your level of comfort in taking on risk so we can design a personalized financial roadmap that meets your needs. Integrated Wealth Management is reserved for our most distinguished clients. It involves close collaboration with a team of advisors to develop and execute a seamless, comprehensive WealthPlan. 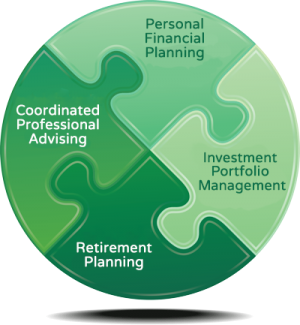 By now you have been introduced to our comprehensive approach to financial planning and investing, Williams Wealth 360. The next step is reviewing and signing our client engagement agreement. Once complete, you will have officially become part of the WWMG family. Moving forward you can expect our team to work tirelessly to help you reach your personal and financial goals. Education is the key to transparency. We want to help you understand our investment process and strategies because these important financial decisions directly impact your life. Once you have a thorough understanding, we’ll make recommendations on strategy allocations and implement your personalized plan so you can live your life by design, not by default. We focus on designing portfolios, not “picking stocks.” Our approach involves broad diversification, low costs, and a combination of passive and active investment strategies. We design global multi-asset class portfolios with the goal of maximizing return within each portfolio’s unique risk environment. Structure, or asset mix, determines most of the performance in a diversified portfolio. We take a disciplined approach to choosing asset classes to play different roles in your portfolio based on your specific risk tolerance and your goals. We adjust your allocation as your situation changes, always looking for a balanced portfolio. The exact mix of investments within each portfolio will depend on the individual client, taking into consideration factors such as age, net worth, income, rate of return objectives and risk tolerance. Prudent investing is a rational process. It involves deciding how much risk to take, then choosing asset classes to match your risk-return trade-off. We take a slightly different approach to traditional managers. Rather than analyzing individual securities, we invest by deciding how much stock to hold versus bonds, how much small or large stock to hold, or how value- or growth-tilted the stocks should be. We structure strategies based on scientific evidence rather than speculation with a goal of achieving a more consistent portfolio structure. We take a flexible, innovative approach to investing to offer consistent, fully diversified exposure to the risks that drive long-term returns. We identify different types of risks, choose how much of these risks to take, and then strive to minimize the risks and costs traditional approaches impose. Many of our manager selections permit deviations from market cap weightings. This flexibility also allows us to reduce transaction costs from counterproductive trading. We are very cost conscious when making investment decisions. Costs at all levels will negatively affect portfolio returns. One way to control “total” cost is through reduction of internally generated fees associated with many investment products. Here, we focus on fund expense ratios, attempting to provide the lowest possible expense ratios without sacrificing a fund’s quality. We also try to eliminate all other fund costs we believe add zero value, such as loads and 12b-1 fees. We are dedicated to preserving capital through proactive investment and tax management. We strive to maximize returns on an after-tax basis when allocating assets, distributing income and planning your estate. To make sure your plan stays on track, we keep you informed about your portfolio and stay current on your objectives. We meet regularly with you for performance reviews and on an ad hoc basis as situations change. From our continuing discussions, we adjust our strategy and your portfolio accordingly, based on market dynamics and your evolving needs. The guidelines used to manage your account are identified and agreed to in an Investment Policy Statement and Client Engagement Agreement for clarity purposes. If your objectives change with time, we simply agree to the appropriate adjustments and modify your account accordingly. *Investing involves risk, including the risk of principal loss. Diversification and asset allocation do not ensure a profit or guarantee against loss. 360º Perspectives is our signature client communication system – a blend of social media, emails, whitepapers, Ask Your Planner articles and more. Plus, stay connected with a 360º view of your finances through WealthPlan, your personal financial website. WealthPlan is your gateway to all financial accounts including investments, banking, mortgage, credit cards, etc. Intuitive data entry makes it easy to connect to all of your financial institutions for an instant view of your entire financial picture. Your investment prices update throughout the day so that you always have the most current information at your fingertips. Bank and credit card transactions import daily, with an interactive system so you can create custom categories to track your spending, set your budget, and monitor your progress towards reaching your goals. 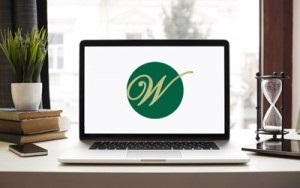 WealthPlan uses a secure personal web address and the latest in internet encryption and security protection available. The system is non-transactional, so you don’t have to worry about unauthorized money movement. Your current information is automatically integrated into your financial plan so we can help you monitor your progress against your overall financial objectives. Interactive charts and detailed investment reports provide you with increased visibility into your accounts. Store essential documents, such as tax returns, wills, trusts, deeds, etc. in your online “vault ” etc. You provide the documents, and we handle the scanning and uploading. Access WealthPlan through your computer or an app on your mobile device, giving you the ability to collaborate with your advisors from anywhere. Looking for another service? Learn how else we can help.